The Intercontinental Hotels Group has opened a new conference hotel in Davos, Switzerland. The oval-shaped hotel has 216 rooms and four restaurants including Studio Grigio, which sits on the top floor overlooking the Grison Alps. The development also features 1,500m2 of designated conference space adding to the city’s popularity as an events destination, which already hosts the World Economic Forum and a number of major sporting events. 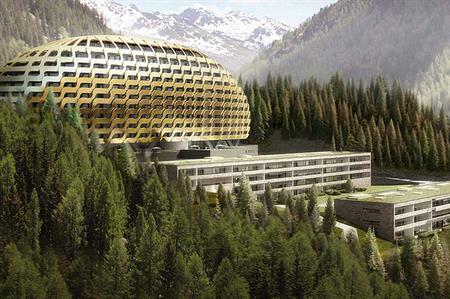 Intercontinental Davos is heated by 90% renewable energy with a focus on environmental sustainability throughout.